In a few hours I will travel to Pakistan, the country with the second largest Muslim population on the planet. Over the years, my travels have taken me to several other nations with large Muslim populations. As a follower of Christ I take seriously Paul’s words in Romans 1:14 where he declared, “I am obligated both to Greeks and non-Greeks, both to the wise and the foolish.” Paul considered himself a debtor to all who do not know Christ. In other words, he believed that those who know Christ owe Him to all who do not know Him. This obligation extends to all peoples, not just to people who live in safe places and pose no danger, whether real or perceived. Prayer is a key component to fulfilling our obligation to the nations. The following are my top ten strategic prayer points for unreached peoples, including Muslims. 10. Dreams | Best-selling author Joel C. Rosenberg points out: “One of the most dramatic developments is that many Muslims — including Shiites in Iran and Iraq — are seeing dreams and visions of Jesus and thus coming into churches explaining that they have already converted and now need a Bible and guidance on how to follow Jesus.” I can confirm the truth of these words, having met many Muslims who have had such dreams. I pray that Muslims and unreached peoples will have dreams that point them to Jesus. 9. Scripture | Psalm 119:130 states: “The entrance of your words gives light; it gives understanding to the simple.” Samuel Zwemer, known as the Apostle to Islam, wrote, “No agency can penetrate Islam so deeply, abide so persistently, witness so daringly and influence so irresistibly as the printed page.” The only thing that stopped Zwemer from distributing Arabic leaflets and Bibles was confiscation. I pray that copies of God’s Word will reach the hands of those who have never read it. 8. Resourcefulness | Both ex-pats and nationals that work among unreached and unengaged people groups must be resourceful. I met a Christ-follower in Morocco who personally wrote hundreds of hand-written letters to encourage people in his country to consider the claims of Christ. This is just one of many examples of the kind of resourcefulness that God can use to advance His purposes in countries that are closed to or that restrict access to the gospel. I pray for Christ-followers whose love for Christ compels them to find creative ways to share His message. 7. Kindness | Proverbs 3:3-4 is one of my favorite passages of Scripture: “Do not let kindness and truth leave you; bind them around your neck, write them on the tablet of your heart. So you will find favor and good repute in the sight of God and man.” Jesus was a servant-leader who demonstrated kindness to others. John 1:14 describes Him as being “full of grace and truth.” I pray that Christ-followers will be kind and gracious like Jesus because kindness can open many doors for the truth. 6. Pain | C.S. 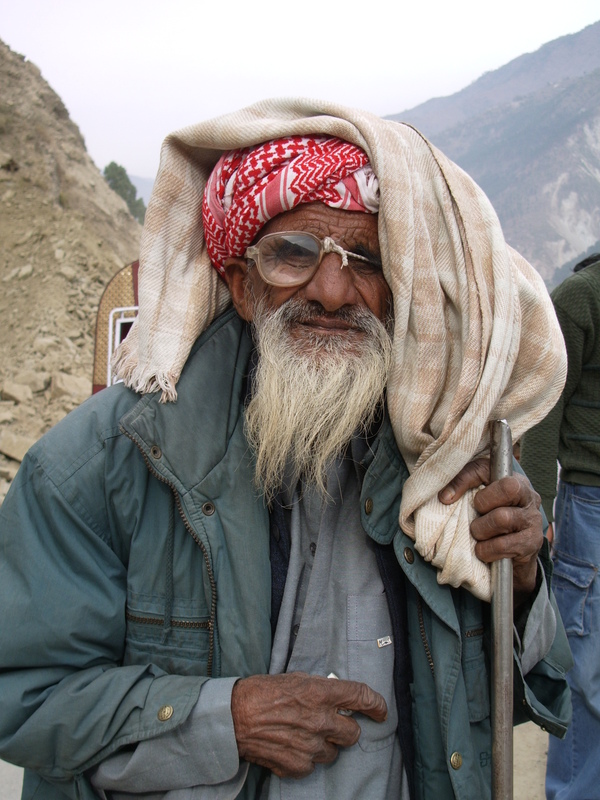 Lewis wrote, “God whispers to us in our pleasures, speaks to us in our conscience, but shouts in our pains: it is His megaphone to rouse a deaf world.” I spoke with many people in pain in Pakistan while doing relief work there after the 2005 earthquake. Many where thinking deeply about what they had experienced and were asking important questions about God. The recent earthquakes in Haiti and Japan forced many people who had otherwise ignored God to think seriously about life and death and the existence of God. I pray that people in pain will think deeply about the brevity of life and the existence of God. 5. Miracles | I met a man in a remote village in Bangladesh in 2000 who had been waiting for years to speak to a Christian. Four years earlier some Christ-followers from another nation had visited his village and prayed in Jesus name for his dying daughter. His daughter was healed and he wanted to know more about Jesus. He was receptive to the message we shared with him and he and his family became followers of Christ. I pray for God to demonstrate His presence and power through miracles among the nations. 4. Persecution | Jesus told His followers to expect persecution: “But I say to you, love your enemies, and pray for those who persecute you” (Matt. 5:44). In 1999 I met with a small group of Muslim-background believers in South Asia. One man showed me the scars on his body as he described how the people of his village had physically abused him because he had become a Christ-follower. The others in the group all came to faith in Christ because this man had chosen to love those who persecuted him. I pray that those who suffer persecution will demonstrate the transforming power of Christ’s love to those that hate them. 3. Safety | I have met many Christ-followers in other nations who live under constant threat of persecution. Some have been forced to leave their homes and have found refuge in displacement camps. Others live daily in fear and deal with insults and intimidation. I pray for the safety of those who live in dark places and among people who are hostile to the gospel. 2. Relationships | It is important for Christ-followers to build relationships with unreached peoples and to show God’s love to them in practical ways. Many unreached people have never met a Christian or had an opportunity to develop a close friendship with a Christian. The gospel travels best over the road of personal relationships. I pray that Christ-followers will develop meaningful friendships with their neighbors. 1. Workers | Jesus said, “The harvest is plentiful, but the workers are few. Therefore beseech the Lord of the harvest to send out workers into His harvest” (Matt. 9:37-38). Ultimately, the kingdom of God advances when Christ-followers are willing to go beyond — to step across the line that delineates the farthest they’ve ever been and the most they’ve ever done for God and His purposes. I pray that more Christ-followers will be willing to forsake comforts and security in order to advance God’s purposes in the world today. We’re told that Indonesia is the largest Muslim country by population. India is the second largest and then PK. I’ve never counted them but just listen to the “head counters” as they review strategies. Yes, you are correct that Indonesia has the largest Muslim population on the planet with 190+ million. According to the latest population info by Patrick Johnstone, the former editor of Operation World, Pakistan has 168+ million and India 151+ million and Bangladesh 133+ million Muslims. Thanks for pointing this out. My jet-lagged brain saw one thing on paper and wrote another. Enjoyed our time together in South Asia! You make life so easy for me when I travel to your part of the world. This was especially encouraging and challenging. Thank you. Every Blessing to you Omar as you reach out to folk in the name of Jesus. May the folk find the fulfillment of their dreams of the risen Christ. Thank you for the great encouragement the Lord is working His Purpose out in the Nations of South Asia etc. among Muslim folk. Very convicting list. We have two practicing Muslim families in our street. We are looking for ways to connect with them beyond casual conversation. As always we’ll be praying for safety and ministry opportunities for you and the rest of Kingsland folks. Blessings.